Sofija Stefanovic visits her eighty-year-old friend Bill and suspects he’s being scammed over the internet – not for the first time. Compelled by Bill’s devastating stories of online dating, heartbreak and bankruptcy, Sofija gets drawn into the underworld of romance scams. Her investigations take her to victims, experts and ultimately to her computer, where she uses a dead relative’s photo to set up her own senior’s dating profile. 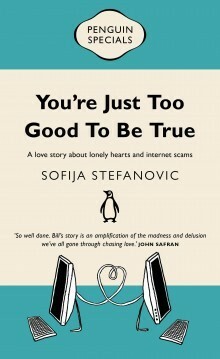 In the hope of interviewing a scammer, Sofija wades into murky territory as her lies grow and her online relationships get personal. 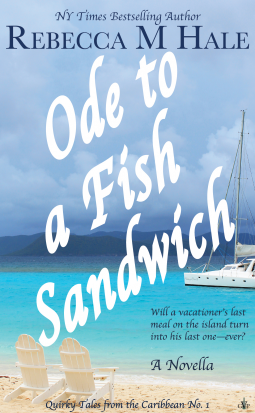 As she moves through this confusing world, Sofija finds herself confronted by questions about loneliness, love and greed. You’re Just Too Good To Be True is a sometimes very funny and sometimes desperately poignant investigation into the dark underside of love in the digital age. What an interesting quick poignant read. And the truly sad part is – this is not a fictionalised account, this is not a hypothetical situation, this scenario is real and is real to many many many lonely people whose only crime is wanting to be loved. This account is so familiar – in my case – not the romance scam but the money scam. Who hasn’t had the email or the letter regarding money held in trust? So much money. A few years ago my father (now deceased) excitedly showed me a letter he had received from an overseas solicitor claiming they had millions of dollars in trust waiting for him…all he had to do was give them some personal details…. He was excited, he was hopeful, yet at the same time I knew he thought this was a scam…he just didn’t want to believe it. I looked at the letter, rolled my eyes, and said something like “Really?” That was enough said- he knew it was a scam, just like I did, discounting it out loud made it obvious, disappointing but obvious. (If it seems too good to be true it usually is – isn’t that the saying?) Thankfully the scam came in letter form – so was easy to bin and no personal interaction had occurred to draw him in to the web of deceit. When “Microsoft” called him about his computer problem – he was easily duped. They talked him through the process of putting a Trojan onto his computer (or something like that – that stole his identity, his passwords etc.) He lost all the money in his bank accounts – which although wasn’t a princely sum was irreplaceable. Worse than the theft of the cash from his accounts was the emotional damage of being vulnerable, gullible, of being duped, of being conned. I recognise these feelings in Bill’s story – no one wants to be seen as gullible, no one wants to admit to being duped, to admit that they misjudged another….and maybe for some the drama of participating in this game is exciting regardless of the outcome? How can a scammer do this to someone – leave them with nothing? Break someone’s heart? Leave someone emotionally bankrupt? Steal a lifestyle? Apply pressure till suicide is the only way out? The distance between computer connections seems to take the “personal” out of these crimes. 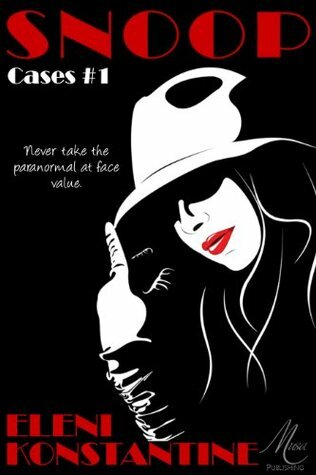 This novella airs important social (and criminal) issues and discusses these problems in rational terms, in an easy to read format – there are lessons here for everyone not just the mature of years. This book struck a chord with me. 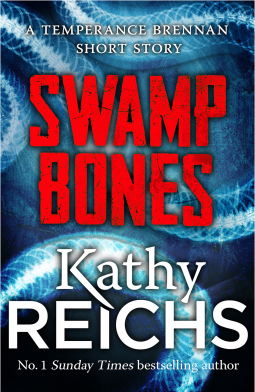 A new, exclusive straight-to-digital Temperance Brennan short story from Kathy Reichs, world leading forensic anthropologist and No.1 bestselling author of Deja Dead, Bones Are Forever and Bones of the Lost. Forensic anthropologist Dr Temperance Brennan has just arrived in Florida’s Everglades for a much-needed break when she is unwittingly thrown into the middle of a deadly case with its roots in the darkest depths of the swamp. Swamp Bones also gives readers the first chance to read the opening chapters of Kathy’s highly anticipated new Temperance Brennan novel, Bones Never Lie, out in September. Capturing the essence of a story, bringing characters to life and adding mystery and tension to a realistically described setting is difficult enough when you have a full sized novel to build and share you narrative but to be able to condense the word/page count and still achieve the sense of storytelling prevalent in this novella is an outstanding achievement and speaks of the masterful way Kathy Reichs is able to deliver her story in any format. Excellent!